Ever since I listened to Wallman talk about her debut at a recent blogger event, I’ve been wanting to read it. It is obvious how much care and passion went into writing it, not only from the way she talked about it but also from the writing itself. 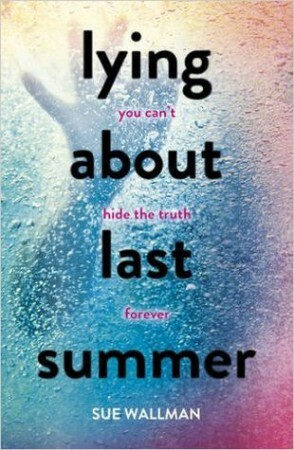 Lying About Last Summer is a fantastic book that explores a teenager’s grief and guilt. There were a couple of things that particularly stood out to me, and the attention to the main character’s feelings was one of them. I felt that it dealt with grief very well. I haven’t lost a sibling, but I have lost someone very close to me, and even though I had nothing to do with their death, I still wished I could have done something about it. I think it’s a feeling that a lot of people experience when they’ve lost someone. What was really interesting was how Wallman decided to base this story in a summer camp-type place, where a bunch of grieving teenagers have been sent to talk to counsellors and to bond over activities such as kayaking and abseiling. We got to see teenagers deal with grief in different ways, and it truly showed that death affects everyone differently. A couple of other points about the book made for an interesting read. Firstly, there was a slight thriller or mystery feel to Lying About Last Summer, particularly surrounding the character of Joe. It wasn’t the most important part of the plot, but there were such undertones throughout and at the climax of the book it really tied into Skye’s character development. Wallman did a great job of weaving the storylines and undertones together. Secondly, there were no shippy feelings, at least for me. This is probably a completely personal thing, as there was a relationship that could be considered a ship, however they didn’t do it for me. Which I didn’t actually mind, because to me the romance felt like it was more of a way to explore Skye’s character and to help her with her grief. Lying About Last Summer is a very character driven book. Wallman has taken great care to develop Skye’s character in a realistic way while she deals with grief and guilt after her sister dies. Everything that happens in this book is connected to that, and everything that happens affects Skye in one way or another. The only downside to the book for me was the length of it, and thus a few things that were left either unanswered, or not developed fully. I wanted to know more about what happened to Joe both before and after this particular story, and also what happened to the man that Skye’s sister was having an argument with in the beginning. I also wanted to know more about Danielle. So a few more pages could have done this. But overall, Lying About Last Summer is a strong contemporary debut, and I’m really pleased with how Wallman dealt with her main character, as that was ultimately the most important part of the book. This sounds like such a good debut, Amber! Thanks for bringing it to my attention! You peaked my interest! 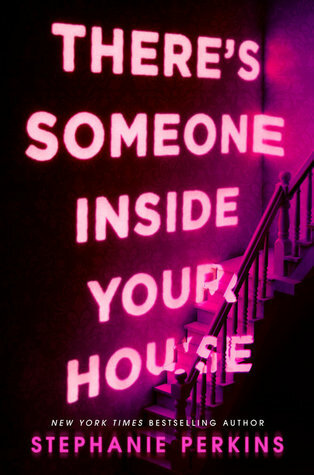 The premise reminds me a little of pretty little liars.. did you get that vibe? Wow! Sounds an awfully like Pretty little liars!